On the day his mother dies, reclusive photographer Rob Fossick – forty-one years old and already in the twilight of his career – finds among her belongings an unexplained package addressed to a ‘Mr Satoshi’. So begins a quest that will propel Rob into the urban maelstrom of Tokyo. 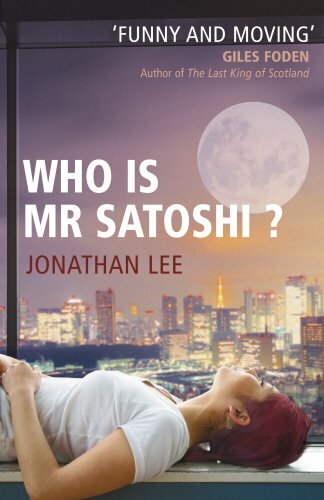 With the help of a colourful group of new acquaintances – a vigilant octogenarian, a sarcastic ‘love hotel’ receptionist, an ex-sumo wrestler obsessed with Dolly Parton – the scene seems set for him to unravel the secrets surrounding Mr Satoshi’s identity. But until he has faced his own past, and begun to reconnect with the world around him, the answers Rob is seeking will remain beyond his reach. Combining several interlocking mysteries spanning sixty years of history, Who Is Mr Satoshi? is ‘a quietly masterful first novel’ (Independent) from a major new voice in British fiction.